Whilst we were on the ridge that separates the Potamos valley from the eastern cliffs of the Samaria gorge a large group of Cretan wild goats (around 15 of them) crossed it to go into the gorge. Unfortunately I had the wrong (wide-angle) lens on my camera at the time so could not get any close-ups. 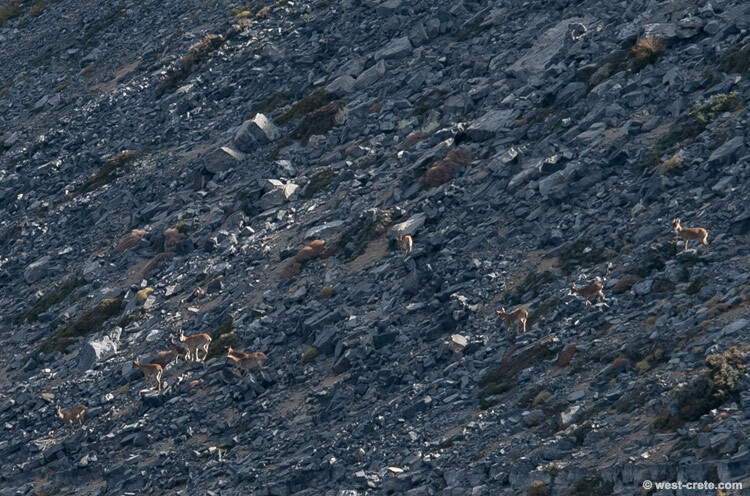 The photo shows only parts of the whole group, mainly females with many young ones.